Here's one company I can cross off my list of booths to visit at SID Display Week, a screen tech conference I'm attending next month. Bridgestone (the tire people, yes) issued a short statement this morning. It doesn't say much, but they have decided to throw in the towel on their screen tech. It's been a while since I last covered them, so let me assure you that you shouldn't regret never getting the chance to buy a screen like the one above. 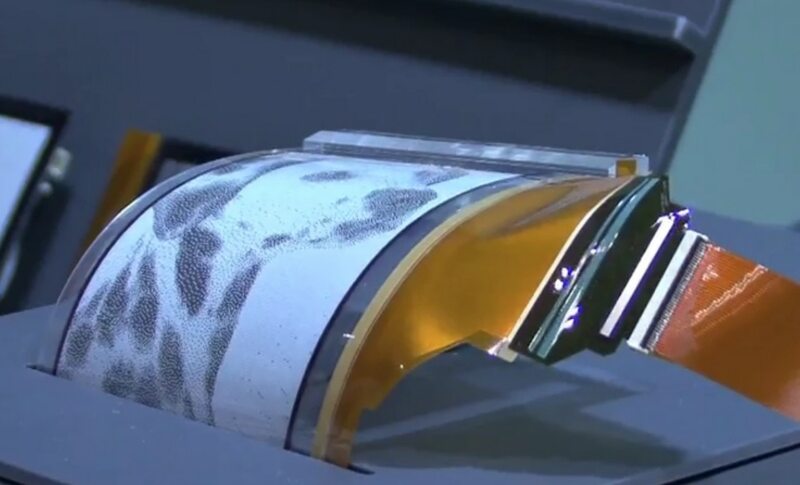 Bridgestone's screen tech has qualities similar to the epaper screens made by E-ink, though it uses entirely different tech to achieve the same result. Bridgestone calls it QR-LPD, which stands for Quick Response Liquid Powder Display. Bridgestone has been working on this screen tech since at least 2004, and they've been showing off prototypes since 2006. But it never hit the market. Bridgestone had partnered with Delta Electronics and Vivitek (makers of projector equipment) to produce devices based on Bridgestone's screen tech. This seems to have been their first major issue, because I'm not sure anyone involved in developing the end product had ever designed for the end user before. When I was covering CES 2010, I saw the devices which Vivitek had planned to release in Taiwan. The screens looked washed out and the software was at best incomplete. The 8" eReader and 13.1" e-Pad, as Vivitek called them, were originally planned to be released in 2010, bumped to early 2011, and then to late 2011. After that they fell off the radar. As late as June 2011 there were plans to produce a 32" screen based on this tech which would be used for signage, but I'm not sure that they ever lined up a customer much less started production. So why did it die? Well, after 8 years of research Bridgestone was never able to come up with a product they could sell. I'm not even sure that the e-Pad mentioned above is a product that anyone would even want to use, much less buy. And then the iPad came along, cutting out the legs of the tablet and large screen ereader market. I'm not going to mourn this tech. It's one of those things that could have been great if it worked out, but it didn't. But I will go pick up my iPad and compose a eulogy. Bridgestone Corporation today announced plans to withdraw from electronic paper business. The company has made this decision after careful consideration of its options and in accordance with its management principal of "selection and concentration" which Bridgestone is implementing to put an increased focus on its core businesses to provide maximum value to its customers and shareholders. 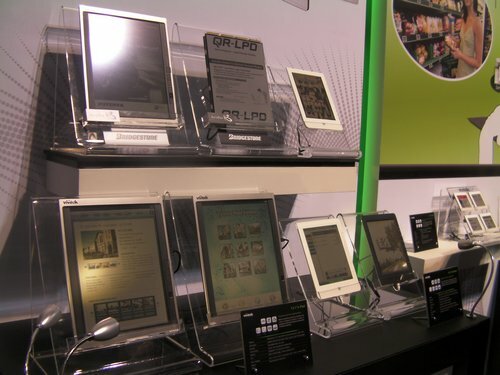 Due to increasing competition and rapidly declining prices in the liquid crystal panel business, the company decided that the best course of action for its overall business is to exit the electronic paper market. Exact timing for the withdrawal is still being determined but the company expects to conclude its production of electronic paper by the end of October 2012. I’m rather fond of cautionary tales; the tech industry is full of them.